AW177 Custom Toys on Display/Sale at Kidrobot NY! I visited Kidrobot NY today to drop off my custom art toys for them to display/sell. I met Lisa, who is the store manager of Kidrobot NY, who was very nice and friendly. 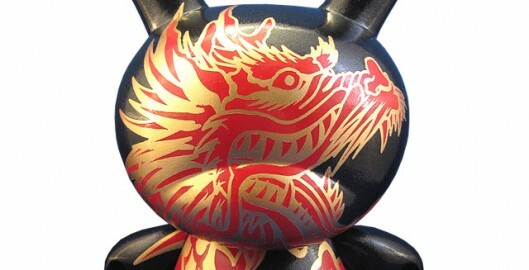 I created a custom 8″ Kidrobot dunny, “Year of the Dragon 2012”, which celebrates Chinese New Year (January 23, 2012). This custom dunny represents the dragon, the mightiest of all the Chinese zodiac signs, the supreme spiritual power, the most ancient mythological emblem of dominance and ambition. 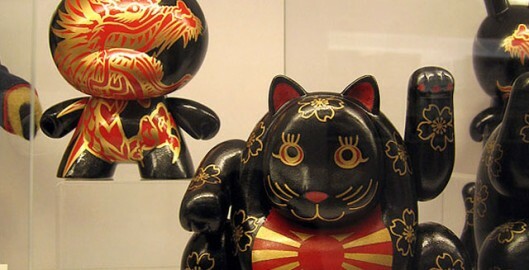 Chinese New Year 2012 – Year of the Dragon…Giveaway? For those that don’t know, Chinese New Year 2012 is the year of the dragon. In the Chinese zodiac, the dragon is the mightiest of all the signs, the supreme spiritual power, the most ancient mythological emblem of dominance and ambition (although I still like the tiger better, but the dragon is a close second, lol). I am debating about making a small custom toy out of my dragon design (as seen on my mini Qee at Tenacious Toys Rise of the Dragon) and give it away, either by posting a comment on my blog or follow me on Twitter, not sure yet. Maybe why they deserve the custom? Anyway, this is not definite yet but if anyone wants me to do this, please let me know! Comments are appreciated! Thanks! AW177 + Play Bling Swarovski Crystal iPhone Case “Dragon Luck” Promo Video! AW177 + Play Bling Swarovski crystal iPhone case “Dragon Luck” promo video! Perfectly in time for the upcoming Chinese New Year, the year of the dragon!